Buy HP LaserJet Pro M126nw Multi-Function Monochrome Laser Printer @ 15,990.00/- INR Only. Connect to your wireless printer in a snap, using wireless direct printing. 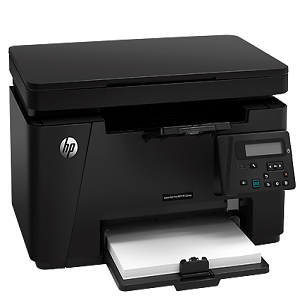 Best Cheap Deals For HP Printer & Scanner, Grab Cheap HP LaserJet Pro M126nw Multi-Function Monochrome Laser Printer Online.